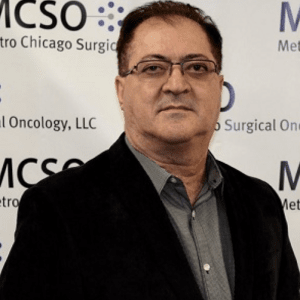 A distinguished urologist in the Chicago area, Dr. Alan Sadah belongs to the Phi Kappa Phi Honor Society, the Phi Theta Kappa Honor Society, and the Golden Key National Honor Society. Alongside his career as a medical doctor, he has also become a clinical instructor at institutions such as Louisiana State University Medical Center in Lafayette and West Suburban Hospital. Dr. Alan Sadah has also given presentations for professional events such as the American Urological Association's annual meeting. In his medical practice, Dr. Sadah serves patients at his two office locations in Chicago and Hoffman Estates Illinois, and at numerous local hospitals. He remains on staff for Advocate Good Samaritan Hospital, Alexian Brothers Medical Center, Gottlieb Memorial Hospital, Kindred Hospital, St. Alexius Medical Center, and West Lake Hospital. He also manages a free annual prostate cancer screening program to the local community. Board-certified, Dr. Sadah maintains affiliation with the American Board of Urology and the American College of Surgeons. He earned his medical degree from Finch University/The Chicago Medical School.